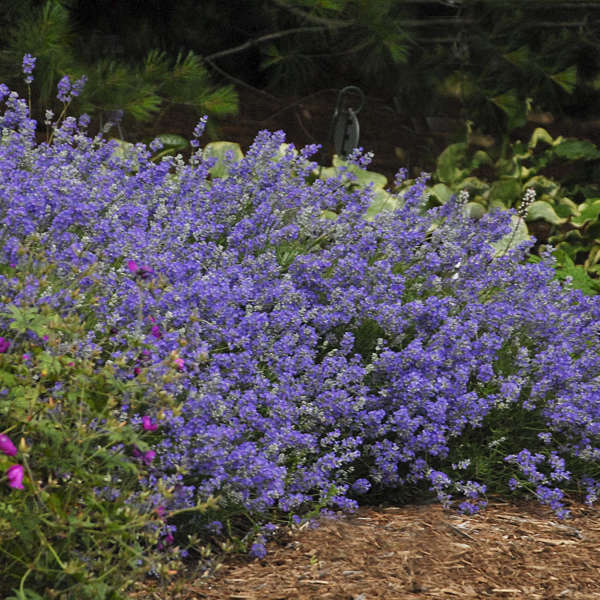 Lavandula angustifolia 'Blue Cushion' COPF | Walters Gardens, Inc. 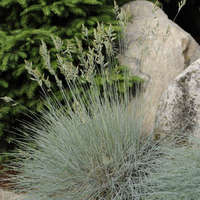 Unlike many compact varieties of lavender which tend to have smaller, lighter blue flower spikes and an uneven flowering habit, ‘Blue Cushion’ PP9119 forms a perfectly compact, rounded cushion of fragrant, grey-green, evergreen foliage. From early to late summer, the entire clump is covered in a dense mass of deep blue flowers which lighten to pale blue as they mature. 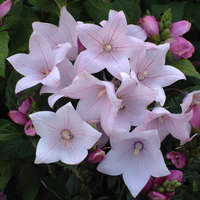 The flowers are produced in several flushes, giving the appearance of continual bloom sometimes into early fall depending on the weather. Deadheading promotes rebloom. 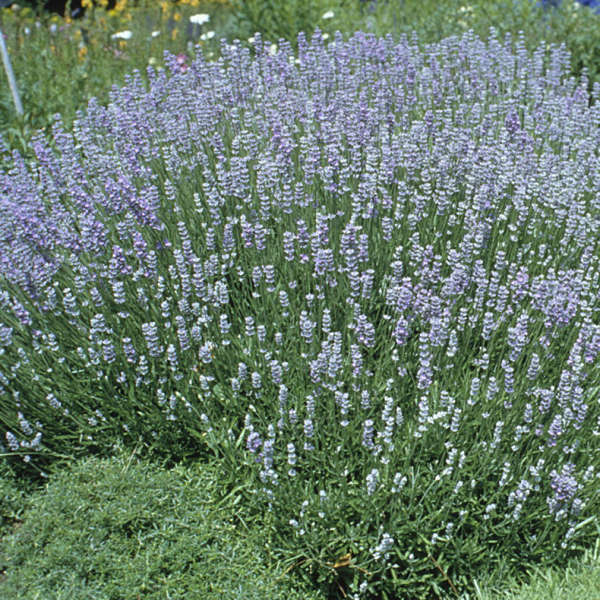 Lavender is a very light feeder and grows well under a constant liquid fertilizer program at a rate of 50-75ppm. Most lavender varieties require 8-10 weeks of cold temperatures to flower. SWEET ROMANCE® is cold benificial but can flower without vernalization. 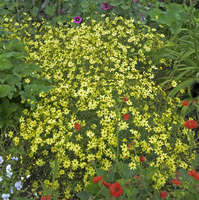 This makes it easy to grow from small plugs in spring or summer. Damping-off, leaf spot (Septoria), root rot (Armillaria) and Botrytis can be problematic. If planting bare root lavender, it is recommended to apply a preventative drench after transplant. Preventative fungicide sprays with activity against Botrytis are also recommended. Daconil is very effective but also leaves a residue so should only be used early in the crop. Milstop and Decree are two chemistries that can be used later on, as they do not leave residue. Root trimming is generally not necessary. Lavender prefers a moderately cool start (~65) until their roots are established. Too cool of temperatures however, especially when combined with media that stays too wet or does not drain well, will result in poor performance. Bare root lavender is a great quick turn choice for late winter to spring crops. If planting mid to late spring it is suggested to plant fresh dug plants as they will begin to grow quicker in the container. Water in bare root plants throughly to eliminate any air pockets. Allow media to dry slightly before watering again. 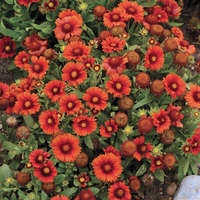 If planting from plugs, grow slightly dry until new growth appears. Once actively growing then lavender prefer to be slightly moist. Avoid over-watering to ensure a healthy root system and avoid watering late in the day to prevent foliar diseases. Crown even with soil line. Most lavender are compact and do not require a PGR application. If needed, apply Sumagic at 5 ppm. A second application 7 days later may be needed to control the growth. Small plugs may benefit from a soft pinch two weeks after transplanting. Provide high light levels for lavender, a high light intensity produces a better quality plant. 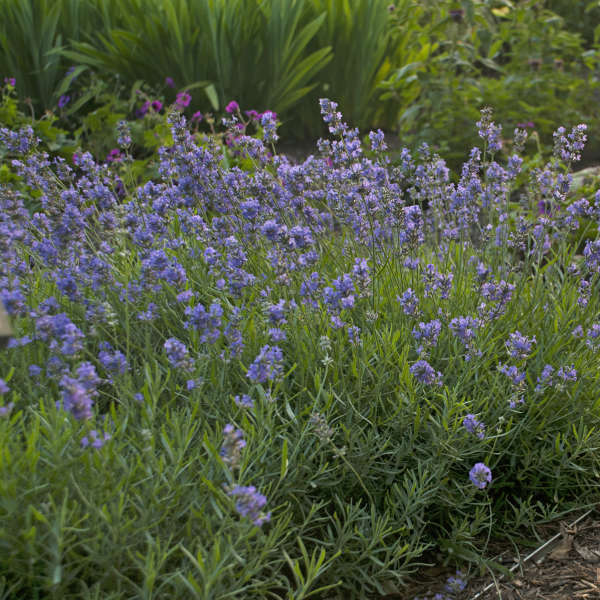 Once vernalized, lavender will flower under any day length. 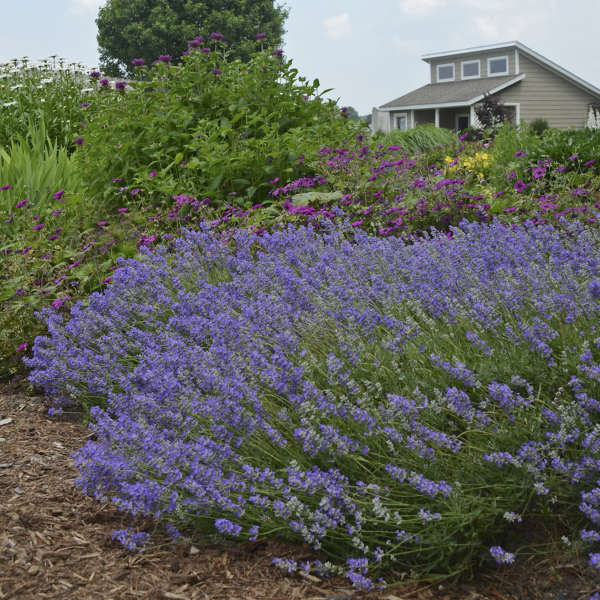 Wet, poorly-draining soil and high humidity conditions with poor air movement are the demise of lavender plants and often will lead to decline. 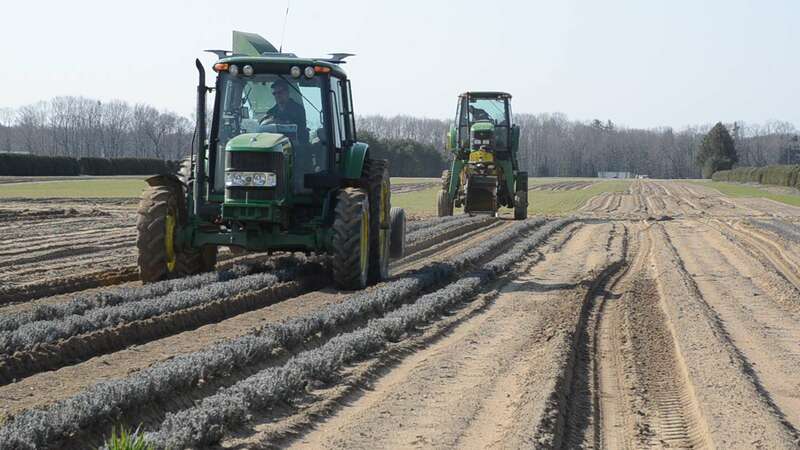 After transplanting bare root lavender it is recommended to protect the dormant evergreen foliage from drying out. Placing a light weight frost blanket or germination cloth over the crop can prevent this from happening. This protects the foliage until the new feeder roots form and can support the new growth. It is also important to unbox and plant bare root lavender as quickly as possible, as the foliage causes it to dessicate more quickly than most other bare root items. Lavender is a high priority plant to get planted first and water in right away after planting. Though lavender is often used in potpourri, its flowers are also edible. They add a sweetly perfumed to spicy taste in both savory and sweet foods and drinks.